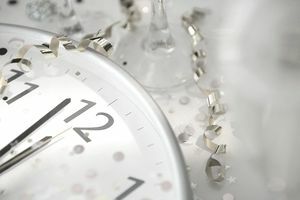 The New Year is always a time of new beginnings, a time for a change, and a time for setting goals. It's the time of year when many people start thinking about looking for a new job or initiating a career change. In fact, January is the busiest job searching month of the year. If you've been thinking about switching up your career, this is among the best times to do it. For those who are contemplating a job or career change, the arrival of the New Year presents the perfect opportunity to reflect on your past experience and think about which direction you might want to take in the future. Even better, employers are hiring, and job opportunities are plentiful. If you’ve been thinking about shifting gears, you should know that you aren’t alone. On average, most people change jobs 10 to 15 times during their working life, so you don’t have to stay on a career path that’s not right for you. There are many practical reasons you might feel the need to stay in an unfulfilling job, but one key reason is the lack of a clear plan for an alternative career. Clarifying your career objectives, and thinking about what career path you would like to be on, can provide the impetus and momentum for you to make the change to a more rewarding career. Think of the New Year as a time to make a fresh start, and then take advantage of that energy. Here are some activities to help you to establish new career goals. 1. Inventory Your Skills. Review your work, volunteer, extracurricular, and academic history to identify activities or elements of your past roles that you found energizing or enjoyable. What did you like the best? Inventory the skills which you have enjoyed using. Here’s a list of required skills for many different types of jobs. Develop a preferred skills list of six to nine skills or activities that you would like to utilize in a new career. 2. Engage in Career Research. The more you learn, the easier it will be to make decisions and set goals for yourself. Start to read about careers of interest by browsing websites or publications at your local bookstore or library. Identify two new careers to research each week, and keep a diary of your interest in each. Measure the careers against your preferred skills list. For those fields with a genuine appeal, compile a list of questions to research so that you can fully appraise the suitability of that career for you. 3. Check Out What Your Friends Do. Do you have friends with jobs that sound like something you might be interested in? Activate your curiosity about the work lives of people in your social network. Think about the roles of colleagues, suppliers, or clients that might be a good fit for you, and interview them about the nature of their work. Share your skills list with them, and ask for help brainstorming career options that might be worth considering within their sector. Ask your contacts for introductions to people they know who are in fields that interest you, and inquire about the possibility of meeting for an informational interview. 4. Set Up a Job Shadow (or Two). Set up some job shadowing opportunities with contacts in fields of interest during your vacation time to gain more concrete exposure to the field. It will give you real-life exposure to what the occupation is really like. 5. Volunteer to Gain Experience. If possible, look for volunteer positions within your chosen field. For example, if you are considering geriatric social work, help out at a senior center. If you are in school, unemployed, or working at home, consider a part-time internship in your target field. Besides helping others, you'll get some relevant experience to add to your resume. You might even be able to turn your volunteer position into a job. 6. Go (Back) to School. If interesting options require further education, take a class online to boost your career skills, consider earning a certificate in a career that interests you to boost your employability, review the offerings of local colleges, or consider taking a course at a local community college or adult education center to get a feel for your field of interest. Schedule meetings with faculty chairs from relevant departments to learn more about how the program might work for you. Completing a degree mid-career may seem daunting, but with the right support from family and friends, it can be feasible. 7. Contact Your College. If you need further help, contact your alma mater (or an area college career office) for a referral to a local career counselor. For most people, career focus won't come as an epiphany from soul searching in isolation, but rather through active engagement with career resources and people in the work world. So why not start the New Year off with an active campaign to find some new career options? How Do You Ask for Time Off at a New Job?